National Geographic has a strong reputation for quality content and fantastic imagery. The Nat Geo ENCOUNTER: Ocean Odyssey delivers on the brand’s promise with an immersive experience that takes you on a journey across the Pacific Ocean. The combination of stunning underwater film and interactive CGI images makes for a fun day at the virtual beach! ”NATIONAL GEOGRAPHIC ENCOUNTER a first-of-its kind immersive entertainment experience that harnesses ground-breaking technology in new ways to transport guests on an incredible underwater journey. 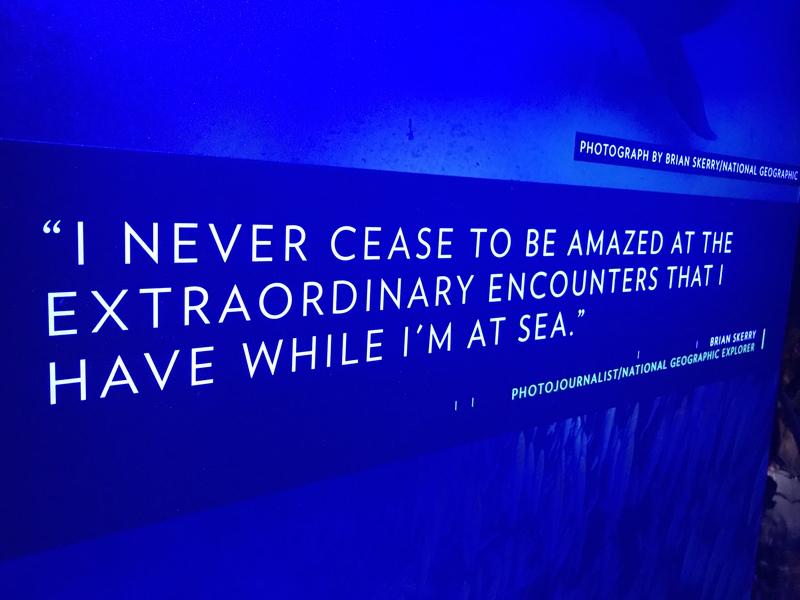 Visitors walk through the experience with friends and family, journeying across the Pacific Ocean to interact with and encounter the ocean’s greatest wonders and mightiest creatures. You’ll come face-to-face with humpback whales and great white sharks, Humboldt squid and sea lions, and animals you’ve never dreamed of…in ways you’ve never seen. From the creative minds at SPE Partners, with a team of Academy, Emmy, and Grammy Award-winning artists, National Geographic Encounter is a brand-new kind of entertainment experience.